Last weekend was the third weekend of the 30 Day Veg Challenge. So far we have enjoyed a few different events. 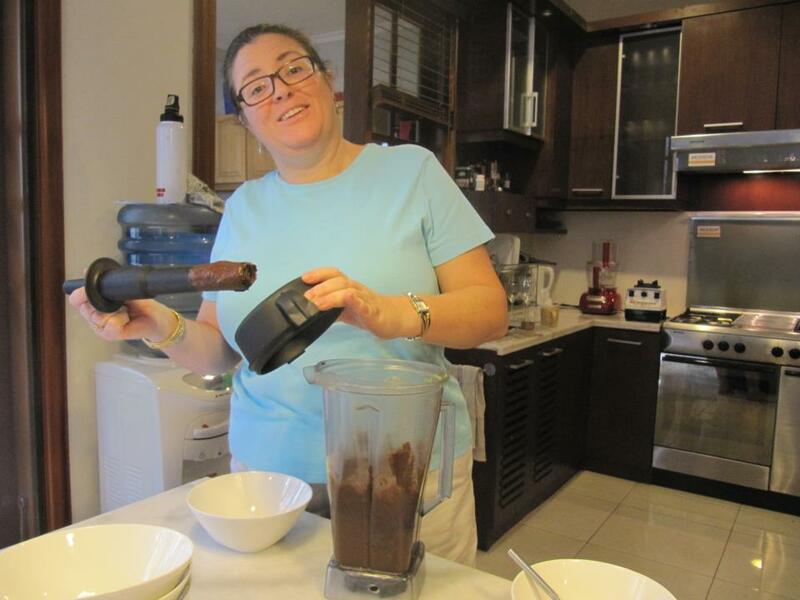 Firstly we had a supermarket tour followed by a cooking class where we learnt a few very healthy meals that could be enjoyed packed up at lunch the next day as well quick dinners that can be done after school or prepared ahead of time. We also did a class on demystifying tempeh and tofu. After missing a weekend, I decided to ask those interested to come over to my house for a day of vegucation. We started the day with a brunch that I’d prepared. We had it all. Tempeh bacon, cinnamon rolls, lemon yogurt, pancakes, ice cream and sausages. 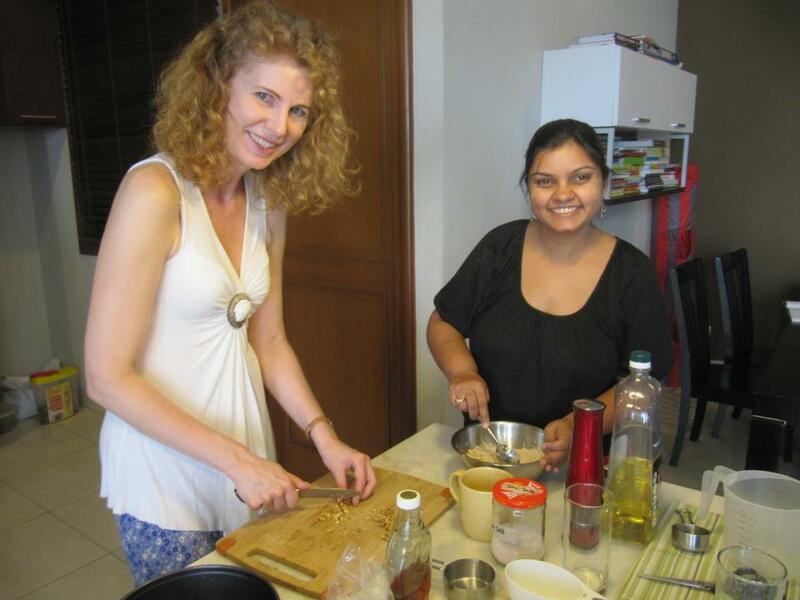 We followed that with a viewing of Get Vegucated and finally a cooking lesson where we focussed on baking in a vegan way. I had a few motivations for doing today. I really wanted to make a delicious brunch for the challengers because they really deserved it. They have worked so hard in the past few weeks and have made a massive effort in not just cutting out the animal products, but have taken the time to find replacements and learn to cook in a different way. I also wanted to show them that it was possible to replicate all those wonderfully decadent brunch favourites with healthier ones. Well, I think I did an OK job as everyone seemed to enjoy them, either that or they were very polite. As a side note, I made Julie Hasson’s Chocolate Chunk Ice Cream for The Vegan Diner and it is by far, the BEST vegan ice cream I have tasted. So rich and creamy. I also wanted to thank those that came for being open to seeing Get Vegucated. Get Vegucated is a documentary showing the journey of 3 people from different backgrounds who answered an ad on Craig’s list about going vegan. Marisa Miller Wolfson (vegan turned film-maker) wanted to see if these people would react in the same was as she did when presented with the information that helped her become vegan. I was hesitant to show this film to our little group, as I had stated from the get go that this challenge was about health, not ethics. However, as time went on, I realised that some people did have ethics as a motivator and people who started out thinking about health were starting to think about ethics too. I decided to show the movie with the trailer so people could make up their own mind about whether this was in their remit or not. There were 9 people all together and we watched the film. I’m not sure if this was the first time these wonderfully open people had seen footage of the standard agricultral practice before, but it was clear when we stopped half way through for a break that it had been shocking for at least some . I was actually a little bit surprised because in my eyes, this footage was not the worst I have seen. While the images were shocking and saddening, the context of the film gave us reason to have hope and the idea that we as a group KNOW that there is an alternative way to live and eat. I guess, when you have seen Earthlings and receive information on the latest undercover investigations that go on, perhaps one forgets how powerful seeing those images for the first time can be. Luckily the film ended on a good note and we moved over to the kitchen where we prepared some chocolate desserts. I wanted to introduce a few different ways to cook desserts. 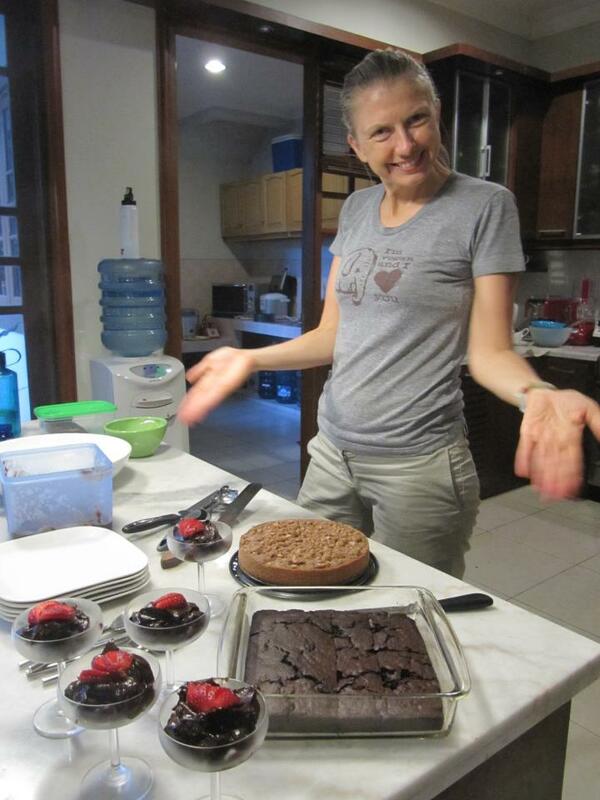 We prepared a chocolate mousse dates and avocado, some raw cookies made with nuts and dried fruit, some no added refined oil brownies using applesauce as the binder and also a coffee cake with spices. We stuffed our face for the second time that day. Life was good. 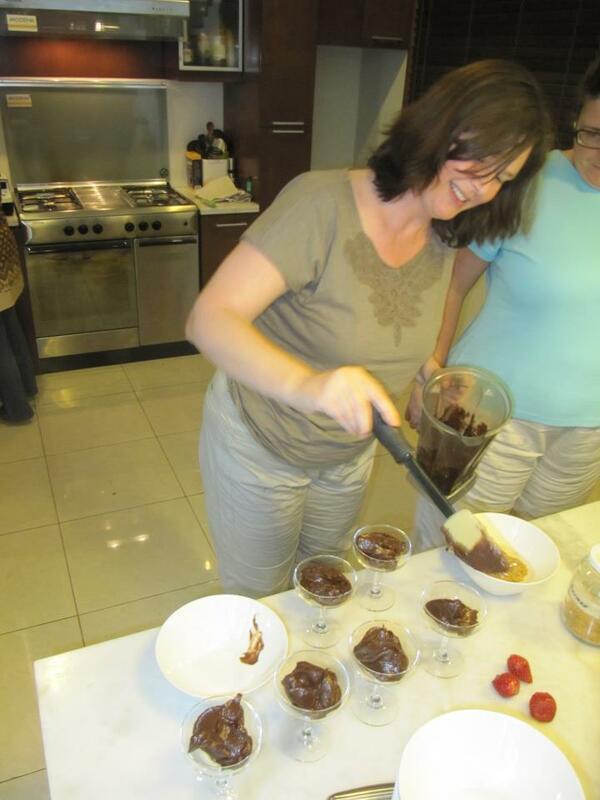 Here’s Jane preparing the chocolate, avocado, vanilla and date mousse. Here’s Lucius, Daniela’s son. Daniela has been vegan for a few months now. Lucius has recently become vegetarian because he doesn’t want to harm animals. Go Lucius! 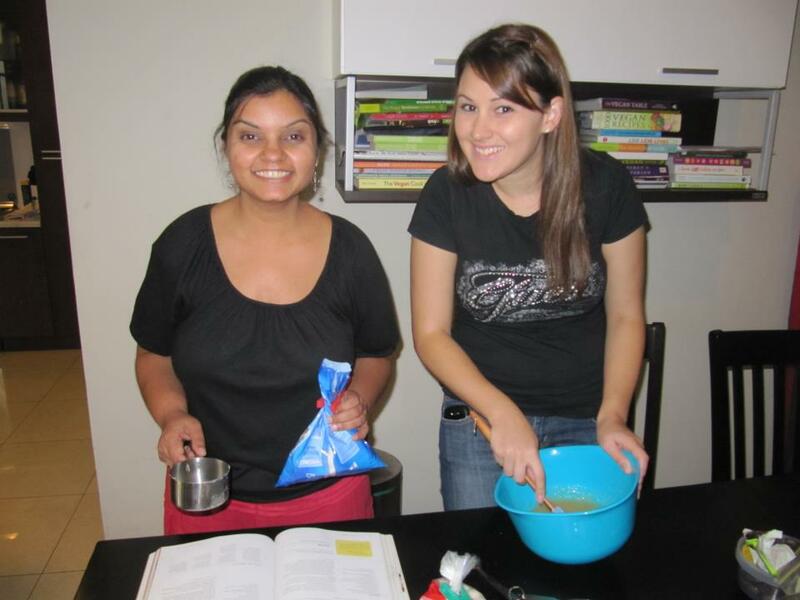 Ildi and Shruti making cinnamon coffee cake. Yesterday, I went to Anotai, so I was able to stock up on some tempeh. 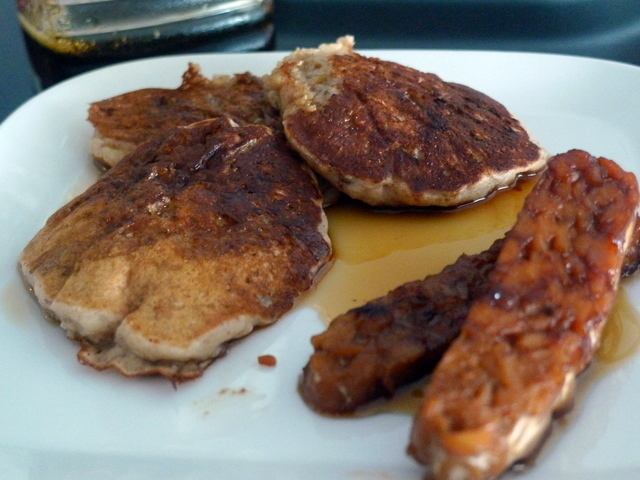 I hadn’t had tempeh bacon for ages, so I thought I’d rustle up a batch. Cookbook: The Vegan Table. You can also see a video demonstration of this exact recipe here. There are many recipes on line. Accessibility of ingredients: 2 out of 5. Tempeh is hard to find here in Bangkok. You need a bit of perseverance and dedication. If you have access to a good health food shop, or something like Whole Foods you should be fine. Liquid smoke might be a challenge. Look near the BBQ sauces. Taste: 5 out of 5, if you like tempeh. If you don’t then you probably won’t like it. Seb didn’t like it. He’s a bit weird about tempeh at the moment. I hope he’ll start to like it again. It is a great intro recipe to learn about tempeh. Comments: I served this with banana and pecan pancakes which we served with maple syrup.